The statue of a lady stands against the dark shadows of the New York skyline. She grips a torch with one hand raised while she holds a book close to her breast with her other hand. Her face is always gives an impression with a calm expression of hope. She faces towards the Atlantic Ocean as if she is waiting or looking out in eagerness of something across the waters. 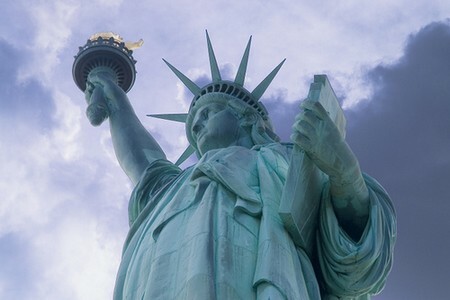 This statue of the pale Lady is known as the famous “Statue of Liberty,” it is a well-loved icon of hope and peace that gifted to the American people by France. A formidable friendship developed between France and the Unites States during the American Revolution. The French supported the Americans in their struggle of freedom from the British rule. This historical event admired the French for America’s success of establishing a democratic government. When nearly hundred years passed, this deep admiration became a topic for a small group of French intellectuals at a dinner party. This group comprised of individuals opposed to the harsh regime of Napoleon III, the party was hosted by Edouard Rene Lefebvre de Laboulaye, a well-known scholar, abolitionist, jurist and leader of “liberals” dedicated to the establishment of a French republican government. The talk focused on the close relations between France and America and the voices of the guests expressed admiration and sympathy. Laboulaye observed a “genuine flow of sympathy” between France and American, and called them, “the two sisters.” Looking forward to the celebration of America’s independence 11 years later, Laboulaye came up with a wonderful idea to present the United States with a lasting memorial to its independence. Laboulaye’s idea struck in one of his guests named Frederic-Auguste Bartholdi was a successful sculptor from a French town called Colmar. The thought of presenting a gift to the American people deeply interested him that he was enthused to create the masterpiece. Bartholdi’s success in grand projects in addition to personal fascination with large-sized works of art encouraged him create the Statue of Liberty’s colossal size. He was rewarded with his first commission at the young age of 18 for creating the first public monument which was a 12-foot statue of General Jean Rapp. Bartholdi earned reputation from the statue which led to numerous similar, oversized, patriotic commissions later. A trip to Egypt later shifted Bartholdi’s attention from grand to colossal works of art. The appearance of the Statue of Liberty was primarily influenced by the neoclassical artistic style of the 19th century. 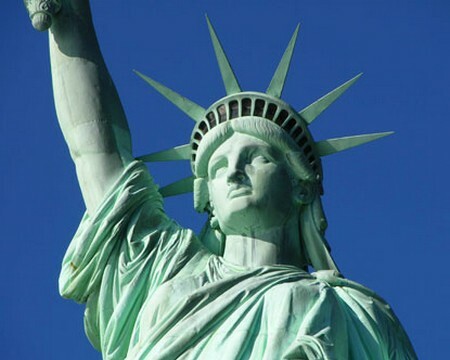 Bartholdi patterned her after getting impressed from the goddess of freedom called Libertas. He could have chosen any other Roman god or goddess but he chose a personification of freedom because of his deep appreciation for it. He had learned the real meaning of “liberty” from his experience in the Franco-Prussian war. Due to the propaganda to further the cause of those who were seeking to create a French Republic, Laboulaye advised Bartholdi to travel to America. He carryied letters of introduction from Laboulaye to some of the America’s most prominent persons, Bartholdi sailed to New York in 1871. Bartholdi became successful and work on the project began on time. Richard Morris Hunt was the architect for the 89-foot-high pedestal. The creator of the famous Eiffel Tower, Alexandre-Gustave Eiffel was the statue’s engineer for its complex skeleton. General Charles P. Stone was responsible for the construction of the whole project including the foundation, pedestal and the reassembly of the statue in New York. In France, Gaget, Gauthier and Company served as the foundry for the sculpture. Statue of Liberty was the first statue that visitors could climb with the help of a steel ladder to the balcony around the torch for 50 cents. The head of the statue was made of copper. The foundation has 24000 tons of concrete which was the largest single mass at that time. The height of the statue is 52 feet and 10 inches. The size of the bottom is 91 feet and the top is 65 feet. The pedestal rises 89 feet above the foundation. President Calvin Coolidge declared the statue as a national monument on 15 October 1924. The National Park Service took the responsibility of its admistration and maintenance in 1933.